Parents Educating Children's mission is to support and encourage its member parents who are engaged in a home education program, as well as those considering homeschooling as an academic option. Our philosophy is founded on traditional, Biblical, Judeo-Christian values. Membership is open to all who are engaged in a home education program or considering home education, and pay annual dues. The majority of our membership is located in Palm Beach County, Florida. Membership for the 2018-2019 year is open! When you become a member of PEC, you will have access to the members-only activities and events calendar. If you have questions or concerns about PEC membership, please use the 'contact us" button above. 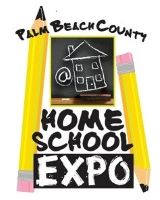 Looking forward to an amazing 2020 PBC Homeschool EXPO! PEC 2019 PROM Registration is OPEN! Always Something Fun to do!